Genre is what we imagine into being as a way of limiting what we read. It allows us to say: I don't like category X, this novel belongs in category X, so I don't need to read it. It allows us to separate out the things we do like, because they are comfortable and familiar, from the vast, unknown other that we can safely ignore. Of course, it goes without saying that the most innovative works are those that ignore these conventions, because it is only by ignoring the safe categories that you can actually do anything different. There is, however, a price to be paid for disregarding genre boundaries: you may not find the readership you deserve. 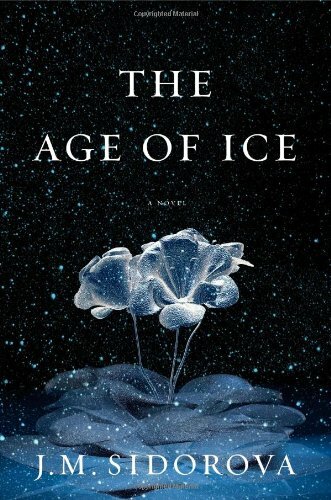 The Age of Ice , the debut novel from J. M. Sidorova, is a very fine historical fiction that makes adroit use of fantasy elements. But I can well imagine readers of historical fiction giving this book a miss because the fantasy clearly belies the primary duty of the historical novelist to imagine the past into life; while fantasy readers are unlikely to be tempted by a novel that traces, in some detail, the last 250 years of Russian history. Such, at least, is the only possible reason why this wonderful novel is not being lauded from the rooftops by all and sundry. In fact, the chief glory of this book has nothing whatsoever to do with how much it does or does not adhere to genre boundaries. The real delight in reading this novel is the language. It is rich and vivid, full of unexpected descriptions that turn out to be just right. It is deftly handled, able to change tone in mid-sentence so that we are swept to delight or despair as the course of events moves us. It holds our attention, so that we read on as much for the sheer pleasure of the text as for an electrifying story that soars and swoops in all manner of startling ways. It is, in short, beautiful. "I was born of cold copulation, white-fleshed and waxy like a crust of fat on beef broth left outside in winter." The very first sentence of the novel demonstrates Sidorova's confident control of the language, while neatly introducing both the narrator and the central theme of the novel. Actually, it's tempting just to go on quoting from the book because there is so much wonderful writing here. For instance, this personalization of Russia in 1740: "My country, corseted, wigged, and powdered on top but still darkly savage at heart, was panting and retching after the marathon Peter the Great had forced her to run." But no, we must return for the moment to that cold copulation. Prince Mikhail Velitzyn had incurred the displeasure of a capricious Empress, and she had enforced his marriage to a hunchback jester, then sealed the pair into a nuptial chamber made of ice. The result of this short-lived congress was twins, Andrei, short and volatile, and Alexander, tall, pale and with ice in his veins. Andrei is the older by 24 hours, and Alexander follows his lead in everything, but when Alexander, fascinated by ice, builds an igloo it is Andrei who sets a fire to melt it. As they approach adulthood, Andrei fails in his ambition to join the elite Leib Guard while Alexander effortlessly qualifies. It epitomizes the split between the brothers that is central to Alexander's whole long life, but it will be some time before he, and we, understand what really lies behind it. While Andrei goes off to war, Alexander leads a dull, pampered existence among the corseted, wigged, and powdered rich of eighteenth-century St. Petersburg, where his only problem is a failure to find a wife. Then, when Andrei is on garrison duty in Orenburg with his new wife and son, the Pugachev revolt occurs and Orenburg is besieged. This sort of historical detail is integral to the novel. It is a very fine historical fiction because its structure is entirely built about real if often little-known events which guide the shape and feel of the book. It is more interesting, indeed, and with rather more telling detail, in the earlier sections. The fantasy elements, on the other hand, drive the plot, as now, when Alexander leaves St. Petersburg and sets off for Orenburg. Alone in a ferocious Russian snowstorm, he comes to realize that he is immune to cold, more than that, he can generate cold. This ability, the affinity with ice that entered his being at conception, is only partly under his control; in aroused states, whether anger or lust, the iciness comes unbidden. Which at least explains his failure to find a wife. Now, wrapped in snow, Alexander starts to think of himself as Old Man Frost, a metaphorical touch that encourages us to identify Alexander with Russia itself. Against the odds, Alexander reaches Orenburg; the siege is lifted and Pugachev's revolt is put down, but Andrei is killed. Alexander takes Anna, Andrei's wife, and their son Andrei Junior, back to the family estate outside St. Petersburg. He is in love with Anna, but is afraid to make his feelings known because of his fear of his own coldness. So when Captain Joseph Billings leads a joint Russian-British expedition to Siberia in search of a Northeast Passage, Alexander goes along. This ten-year expedition was little short of a disaster, and Sidorova's account is one of the most thrilling and, in an emotional sense, chilling sections of the book. It also marks another key transformation in Alexander. During a long, harsh winter in a Siberian village tempers flare, and in one clash Alexander nearly kills the village headman. Then Alexander heads off into the frozen wilderness where he encases himself in ice. If this is an intended suicide, it doesn't work, because two months later the expedition's German scientist, Carl Merck, happens upon the ice cocoon and releases him. But the Alexander who emerges from this cocoon has changed; it will take some time to realize this, but from this moment on, Alexander does not age. Returning from Siberia, he is at last able to find a measure of happiness with Anna, at least for a while, and Andrei Junior is one of the heroes of Austerlitz, though he is killed in the retreat. But happiness does not last; Anna dies, Alexander's life is made a misery by Andrei Junior's widow, and as Napoleon retreats from Moscow, Alexander becomes Old Man Frost once more, harrying the dwindling army. To this point, the most obvious model for the novel has been Tolstoy's War and Peace , but now, in one of the more contrived and least convincing sections of the novel, we are very blatantly given another model. In Paris, on the eve of Napoleon's return from exile, Alexander encounters Mary Godwin and Percy Shelley, and we are told that she borrowed scenes from Alexander's life for the story of her own monster. But to suggest that Alexander is some sort of Frankenstein's creature is, at best, misdirection, at worst a misreading of this complex and tragic character. But positioning Alexander in Paris removes him from the history, the geography, and the society of Russia that has given him life, and for a while the novel goes downhill. Years pass more quickly, and the scene shifts restlessly from Paris to Persia, Afghanistan, Calcutta, Singapore. The pace, the sense of solidity, that made the Russian scenes so convincing, is lost. The chapter devoted to the siege of Herat is vivid and exciting, but in the main the novel now feels hurried and superficial, as if Sidorova is simply marking time until she can return Alexander briefly to St. Petersburg on the eve of the First World War. Now everything clicks into place once more. It is clearly Russia that is the lifeblood of Sidorova's novel, and away from that inspiration Alexander tends to lose purpose and focus. Alexander's immortality is little more than a device that allows the parallax view of Russia before the Napoleonic War and before the First World War, though it does set up, in the latter part of the book, a love story that is at least as impossible and as haunting as that in The Time Traveler's Wife (2003). But the affinity with ice is an invention that is used powerfully throughout, both to drive the plot and to give metaphorical weight to Alexander as a personification of Russia. Neither of these, of course, is enough to make the novel purely a fantasy. But then, the extraordinary way that the history of Russia in the half-century or more before Napoleon's invasion is brought faithfully and vividly to life doesn’t make it purely an historical fiction. The book can also be read as an affecting love story, a stirring war novel, a novel of scientific endeavor, a tale of exploration, a tragedy, and more besides. It is the very fact that it ignores genre conventions that makes this such a superb debut. I liked the first two thirds, but thought it fell away as it tried to speed up.